Soil Health Affects the Health of Your Trees - Crowe Tree Service Inc. If your tree isn’t growing as much as it used to or if you have noticed that your trees look a little less heatlthy than before then this may be the time to call a certified arborist in Ottawa to run a soil sample. Many of the negative effects from poor soil can be reversed by quality arborists, provided that action is taken sooner rather than later. Trees and plants can become sick for many reasons and one of the prevalent causes of illness aside from an infestation of insects is illness related to soil health or restricted root space for the tree to flourish. Trees provide great aesthetics and curb appeal as well as much needed shade on those hot sunny days. Don’t give up on your trees and instead give us a call to take a look at your trees and the environment in which they live. 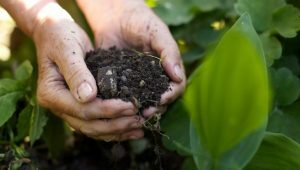 There are three main soil-related health problems to consider and they are compaction, over mulching, and time. Let’s dive deeper into each of these soil issues and the relationship to the overall health of your trees. If your trees are in a high traffic zone where many people walk near or on then the soil will compact over time and this prevents a regular flow of water into the soil which alters the nutrients that are present in the soil and also prevent the appropriate amount of water reaching the roots. A simple soil sample will help to determine the nutrient levels along with the level of compaction you may be dealing with so that our trained tree service pros can recommend an appropriate treatment. When it comes to mulching, you may be over mulching or applying the wrong type of mulch which can alter the nutrient composition of the surrounding soil. The soil around your tree is like your house. If your house has poor air quality then you will be prone to more sicknesses and respiratory problems. The same goes for the soil that your tree is growing in and over mulching can cause problems for the health of your trees. Over time deicing chemicals, pesticides, decomposing mulches and other factors will seep into the soil where your tree is growing. The seepage along with natural decomposing affects the nutrients levels in your soil. In a forest, there is a constant replenishing of the much needed nutrients from animal waste, decaying organic matter from nearby plants and trees as well as the seepage of good nutrients from nearby sources such as run off from hills and rivers (even underground rivers). It’s possible that the soil around your tree is just expiring and depleted of nutrients that need to be replenished by a professional arborist and home service professional in your area. If you suspect that your trees, shrubs, cedar hedges or plants have become sick then it is time to get an expert opinion by hiring a tree home service pro in Ottawa. Good news is you have arrived at the right place. We are industry leaders and have the experience working with soil and a variety of tree types to help restore your soil to a healthy condition where your trees will live healthy and exceptionally long lives.